This endearing large-print series for beginning readers celebrates the special relationship between Gus and his grandfather. In the first book, Gus turns 7 and Grandpa turns 70. Grandpa’s thick white hair and mustache are snowy white, and he wears glasses. He loves listening to opera, and he has a lively dog. He’s good with his hands and can make wooden mailboxes and delicious Christmas cookies. Grandpa has a shed full of fascinating old junk, which Gus loves, but his parents don’t. As in most books for young readers, Gus has positive, loving relationships with his parents, but Grandpa seems to have a special gift for helping Gus when he’s insecure or struggling to learn something new. It’s Grandpa who teaches him to ride a two-wheeled bike and who shows him how much fun music can be when Gus is discouraged about piano lessons. Grandpa teaches Gus how to cast a fishing line even though Gus’s dad thinks Gus might be too young. And Grandpa knows how to keep a secret: when Gus accidentally makes a mess on Grandpa’s porch, then cleans it up, Grandpa doesn’t tell Gus’s mother about it. Gus and Grandpa at the Hospital is worthy of special note because it addresses children’s feelings about a beloved older relative becoming ill. When Grandpa has a heart attack, Gus doesn’t want “anything even a little bit bad to happen to Grandpa.” At first Gus doesn’t want to visit Grandpa in the hospital, doesn’t want to see him looking sick or vulnerable. As Grandpa improves, though, Gus feels more comfortable going to the hospital, where he plays checkers with Grandpa, gets to know the nurses and enjoys buying sodas from the machine in the hallway. The whole family celebrates the day Grandpa comes home. The illustrations throughout the series are soft and inviting. 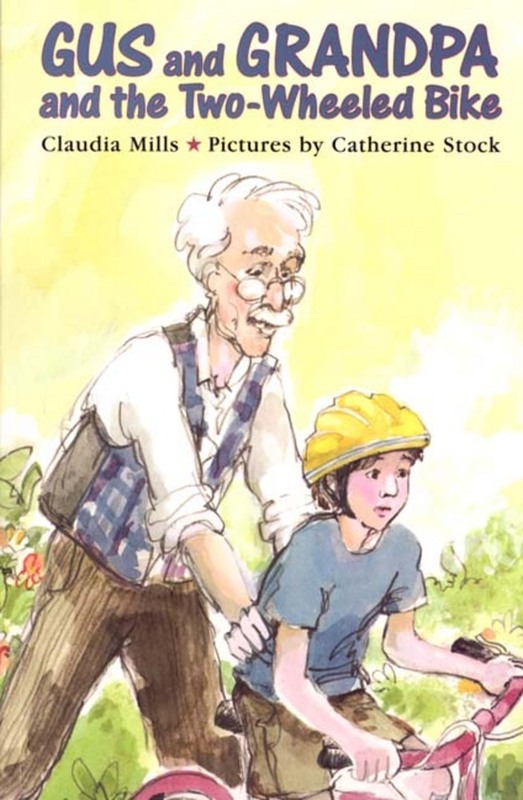 Beginning readers, especially boys, will relate easily to the variety of experiences that Gus and Grandpa share and the special bond between them. Ten books in series: Gus and Grandpa, 1997; Gus and Grandpa and the Christmas Cookies, 1997; Gus and Grandpa Ride the Train, 1998; Gus and Grandpa at the Hospital, 1998; Gus and Grandpa and the Two-Wheeled Bike, 1999; Gus and Grandpa and Show-and-Tell, 2000; Gus and Grandpa at Basketball, 2001; Gus and Grandpa and the Halloween Costume, 2002; Gus and Grandpa Go Fishing, 2003; Gus and Grandpa and the Piano Lesson, 2004.